TOKYO, Sept. 7, 2018 /PRNewswire/ -- Global fintech company Quoine this week unveiled Liquid, a cryptocurrency one-stop trading portal, which will allow users to access a worldwide network of cryptocurrency exchanges. 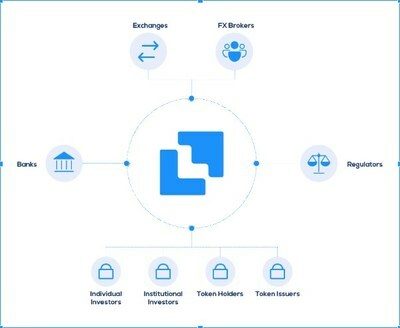 In subsequent stages, Liquid will offer a World Book technology that aggregates the orders and prices on various exchanges into a single highly liquid and tradable order book and allows orders to be placed in the currency of one's choice. Quoine is the first global cryptocurrency exchange to be officially licensed by the Japan Financial Service Authority (FSA) for its Japanese operations. Moreover, Quoine's existing trading platforms, Qryptos and Quoinex, are among the most advanced in the world. The existing digital currency exchange and trading platforms will merge into the new Liquid portal, providing access to liquidity pools sourced by a unified platform. Currently, Quoine processes annual transactions worth over $50 billion and are amongst the top crypto-exchanges in the world . In November 2017, Quoine successfully raised USD105M in an oversubscribed ICO, to fund the growth of the Liquid platform. "Cryptocurrency markets need stability. This year, the 30 day BTC/USD volatility index  has been above 3% for almost the entire year, with highs topping 8% at the start of the year. Liquid is paving the way to a less volatile future by improving liquidity within the cryptocurrency ecosystem," said Mike Kayamori, Co-Founder and CEO of Quoine. "However, Liquid is more than just a cryptocurrency exchange. Liquid is an all-in-one platform that will bridge the gap between traditional finance and the token economy. We offer everything you need within our suite of services, while our underlying tech will help connect a global crypto community." Liquid's World Book will provide liquidity with its matching engine technology, which matches orders to ensure traders can always buy and sell into healthy order books. "Quoine aims to provide liquidity to the non-liquid crypto economy. 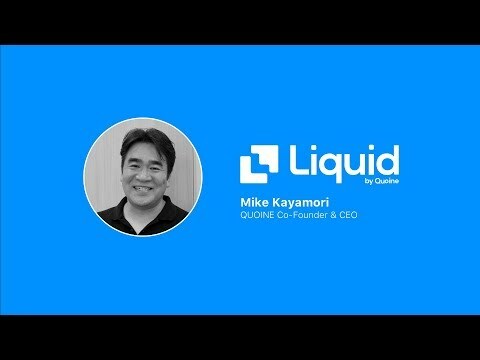 With the launch of Liquid, Quoine is building a solid, global financial utility. An advanced platform the entire crypto economy will use to great advantage; where anyone can participate as users and token holders," said Mario Gomez Lozada, Co-Founder, President and Chief Product Officer of Quoine. In November 2017, Quoine successfully raised 350m QASH (the equivalent of 350K ETH or ~USD105m) in an oversubscribed ICO, to fund the growth of the Liquid platform. As part of the Liquid platform development, Quoinex and Qryptos will be merged into Liquid.